[Review] Google TV - Where television meets the search engine! We haven't been this excited about TV since Saturday morning cartoons. Not only are TVs the center of our living rooms, but five billions of us use them. That is more then the number of the people who use mobile phones or computers. Knowing how the web radically transformed these devices, we wondered what it could do for the most ubiquitous screen in the world. Which is why we've been busy geeking out on how to make TV as awesome as possible. The result is Google TV. It's an adventure where TV meets web, apps, search and the world's creativity. Like Android, it will be an open source platform. From the start, it will able to work with any TV. And before long, anyone will be able to build apps for it! These above three paragraphs are not mine. These are of Google for it's new project Google TV. Where you can Browse the whole web, Use the most powerful applications, and do many more things that the conventional TVs can't do. So, hare are some features of Google TV. Search The Web : As a pioneer in the search engine, it's not a surprise that Google adds this feature in Google TV. 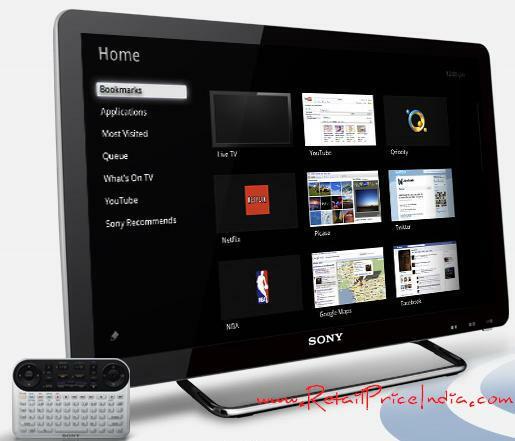 You can search any channel, any app or any other topic on the web right from your TV. Browse The Whole Web : Google TV has no limitations for browsing the web. Means the limitations like only browse those sites which are compatible with Google TV, browse only channel sites etc. But Google TV offers you to browse the whole web. Not some of it, whole of it! Apps on Your Television : Your smartphone has apps. Now your TV has too. Google TV offers several apps, and this year developers will also be able to create their own. Use your Phone as a Remote Control : Google TV offers the best feature to use your smartphone as a remote control. Now no need to have an extra remote with you alongside smartphone while watching TV. Only smartphone would do! TV gets a Homepage : The Home Screen is very customizable and user friendly which gives you a freedom to quickly access your favourite channels, apps and websites. TV or Web or Both! : In Google TV, switching between TV and web is seamless. Want to use both at the same time?....No problem, you can watch TV and browse the web at a same time on the same screen. Search and Record : If you are a DISH Network subscriber, you will enjoy enhanced features like recording and DVR access right from your search bar. Compatibility : Google TV is very much compatible with your existing TV and Internet. No need to spend extra bucks for it! Setup : It's very easy to setup Google TV as it is as compatible as anything with your existing TV and Internet. Spotlight : The world's leading websites and channels are being tweaked and perfected for the television. Google TV is now available in USA. And Google is also planning the aggressive expansion in 2011 and 2012. Let's hope it arrives as soon as possible in India! Now if we take a look at the other side of the coin, it's learnt that Google is not trying any drastically different then Apple and Microsoft other than implementing it on Android platform and encouraging 3rd party applications. If you don’t buy a Sony HDTV, you need to buy additional external hardware. It will eventually integrate with Sony PlayStation, again asking too much from an Indian user. For good performance minimum bandwidth requirement is a 3Mbps connection. The average Indian home bandwidth is not more then 512 kbps to 1 Mbps. I guess from an Indian perspective we still have a lot to catch up before we can even think of having Google TV in India. We need to have better DTH/Video-on-demand services and good TV guides/mobile applications to make user aware of the importance of having such services in India. Let's wait and watch. What say? ?